Uses For A Five Year Old. 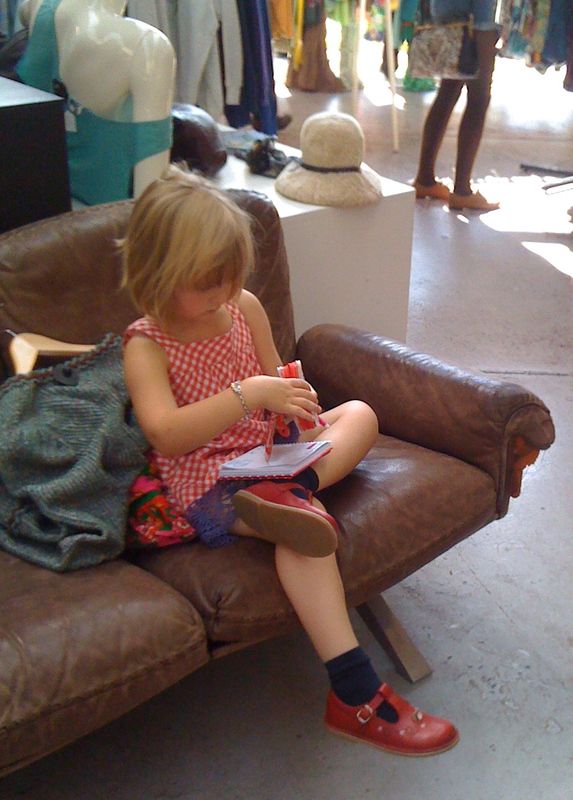 Vintage shopping with a 5 year old, a small child is always useful to guard one's finds but they must be pre-armed with sweets and crayons. An eager 5 year old is also useful for airing 50 kilos of wool. A well trained 5 year old can also stuff limbs with aforementioned wool although, unfortunately she is not yet up to speed on sewing up.